How many of us, in a moment of peak stress, have lit a scented candle, climbed under a hygge blanket, dimmed the lights and slapped on a sheet mask? The pinnacle of Instagrammable relaxation, all you have to do is search #sheetmask, and you will see just how widespread this ritual is. Exploding into the West and onto our radars around 2014, sheet masks have shown no decline in popularity, and with a host of celeb followers (Chrissy Teigen, Lady Gaga, Bella Hadid amongst others) there is little chance of them disappearing into the back of the vanity cabinet any time soon. A cult craze heralding from Asia, otherwise known as the skincare capital of the world, they seduced me from the moment I ripped open my first foil packet and carefully applied the paper mask instantly transforming myself into a Goop-ified Freddy Krueger. Hook, line and sinker; there is nothing to not love about them. Quick, easy and accessible to all price ranges ( yep, Penneys sell one for €1.50) there is a mask for everyone, so whether you want to brighten, soften, hydrate or detoxify your skin, you'll be able to find a suitable suitor for your skin woe. When Victoria Beckham is a fan, you know that the product doesn't mess around. Promising to leave skin looking fresher in just ten minutes, Estee Lauder recommends you use once a week, right before bed, leave for 10 minutes and then remove, rubbing in any excess serum. The brand was the first-to-market with foil-backed technology and beyond all the selfie potential, foil increases the absorption of the serum as unlike cotton or biocellulose foil is 100 per cent occlusive, meaning the serum can only go one way - straight into the skin. Also, the foil acts as a barricade, trapping the bodies natural heat thus aiding the serum to penetrate deeper into the skin. The mask itself comes in two halves, a bandit-style mask for your eye and forehead area, and another for your cheeks and jaw. The outside is shiny silver and looks like tinfoil but rest assured; we're not talking the same foil we keep in the kitchen. Instead, think freezer bag; strong yet flexible and lacking any injury risks - aluminium foil can have some sharp edges! 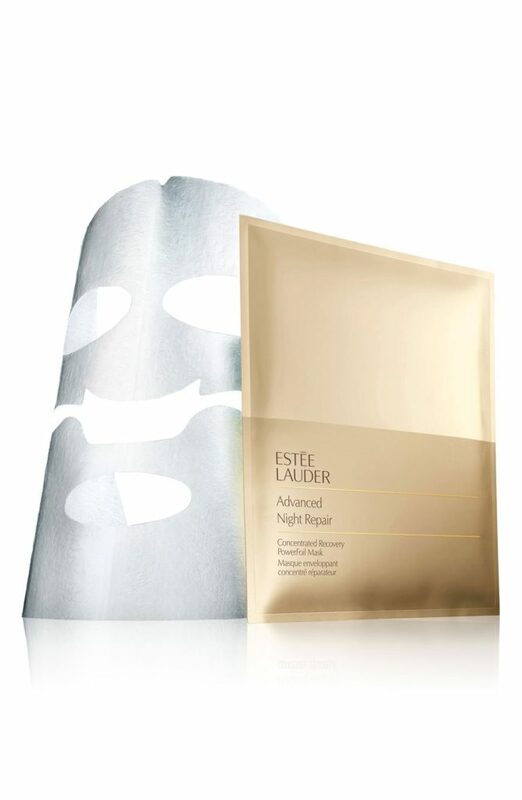 Containing a heightened dose of the Advanced Night Repair serum, this mask boasts twice the amount of hyaluronic acid found in the serum and nearly half a bottle’s worth of ChronoluxCB, Estee Lauder's exclusive ingredient found solely in their Advanced Night Repair range. The hydrating results are second to none, while the price point is accessible to all whether you are looking for a once-off pre-event treatment or weekly indulgence. My go-to mask for when my skin needs some TLC, it immediately injects life back into a tired and dull complexion. I have been a fan of Clarins products since I was a preteen, my Mother's skincare brand of choice, their products were part of my youth and are drenched in nostalgia. Rather than being a relic that I place on a pedestal out of sentimentality, Clarins products are hard working yet gentle on the skin; they are created using plant-based beauty that is backed by solid science and continuous innovation. 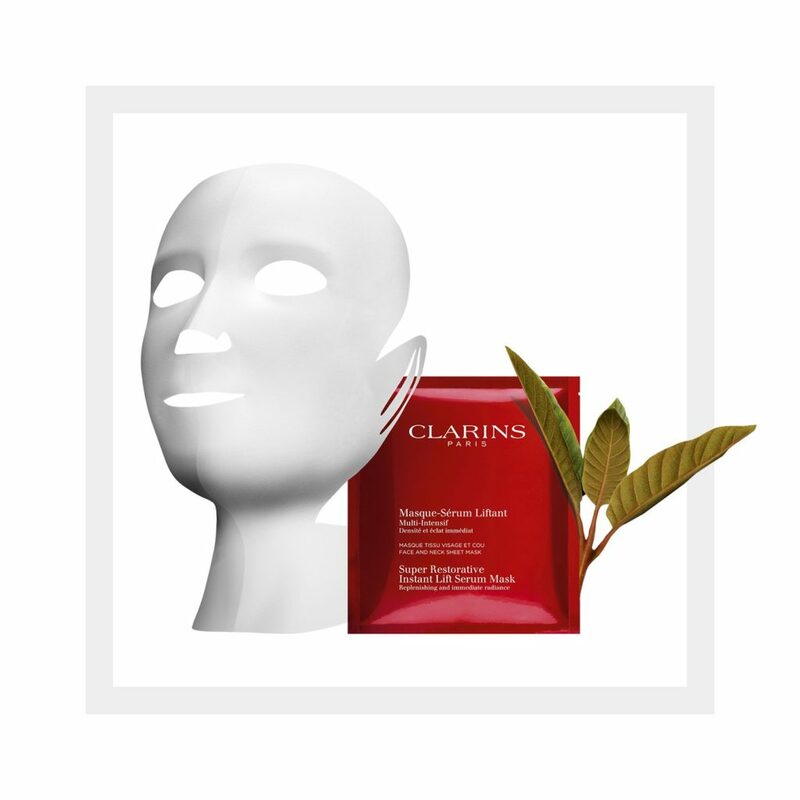 To this day, despite being lucky enough to have many samples from many brands sent to me, I would go and buy a Clarins product above other, and this is also true of their relatively new (launched last year) Super Restorative Instant lift Serum Mask. You see, this mask does wonders for skin that needs a little 'hoosh up!'. From our 30s on, once-taut skin begins to lose elasticity resulting in a slack jawline and cheekbones that sit a little lower than in our younger years. The reason? Elastin production ceases around puberty and begins to break down with environmental stresses like UV rays, pollution and blue light (yes, your phone is causing your skin to sag!) speeding up its breakdown and exacerbating natural ageing. Clarins' Super Restorative Instant Lift Serum Mask. Promising to give visible results in just 15 minutes, I can honestly say they do not disappoint. The sheet comes infused with a light, gel-like serum that absorbs quickly into the skin to give a youthful glow and instant lift. Achieved using oat sugars, they form of an invisible mesh that tightens skin (albeit temporarily) while hyaluronic acid plumps up fine lines. The result is instant rejuvenation. These are a stalwart in my beauty arsenal that I whip out every time I am going somewhere nice and want to ensure my skin looks its best. €160, a box of 6. 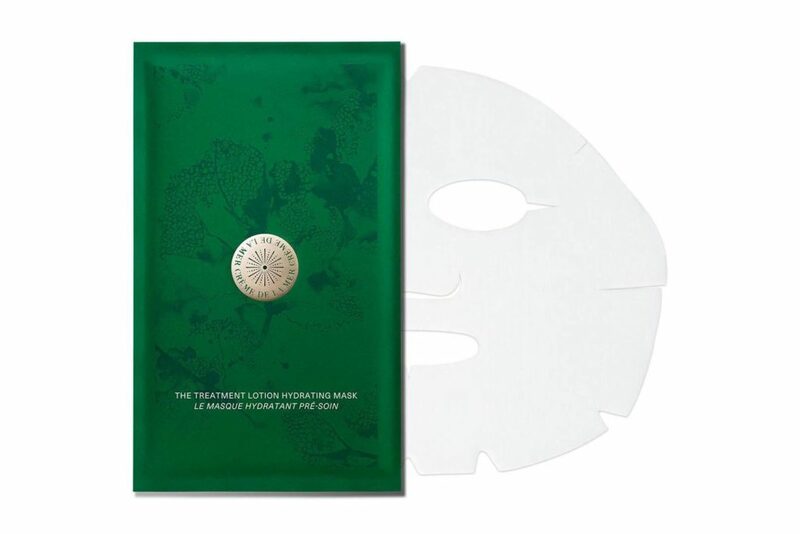 The ultimate in self-indulgence, including a La Mer product in your beauty regime, no matter what it is, has a certain sense of luxe and ritual about it and their new Treatment Lotion Hydrating Sheet Mask is no different. Infused with 30mls of Treatment Lotion, dubbed as 'liquid energy' due to its instant hydrating abilities, the mask is designed with Japanese skin-hugging technology and millions of jet-spun micro fibres that deliver the product into the skin for the ultimate in hydration. Containing all of La Mer's hero ingredients, including the infamous Miracle Broth, just 8 minutes will deeply hydrate and revitalise your skin. The mask itself feels more substantial than a regular sheet mask and clings to the contours of the face without lifting or budging and charged with the same scent as the creams. The fact it doesn't move allows you to continue with your day while you wear the mask, however, at this price point, I would recommend you sit back and relax, take in the scent and enjoy the experience. The result is instantly plumped and glowing skin, the perfect base for makeup or more ideally, no makeup (you won't want to cover up your glowing skin!). 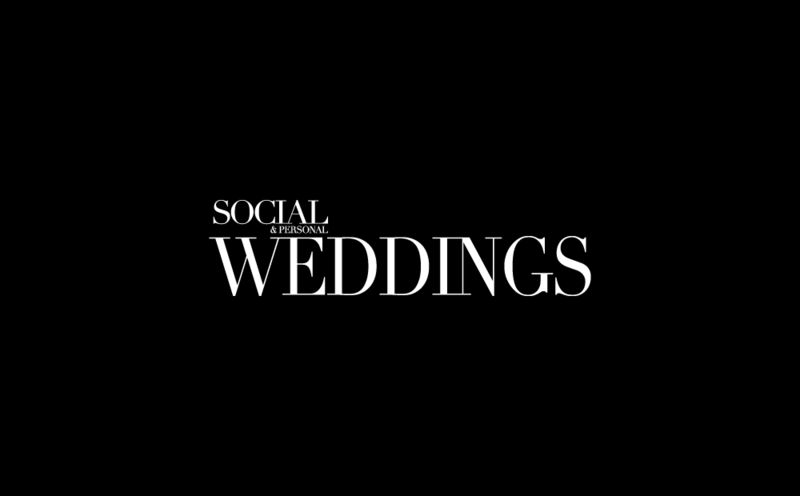 Perfect for an all-out pampering session or a moment of indulgence on the morning of your wedding.